You may need to find your sewer line, but don’t know how. Don’t worry! Here is a easy to follow guide on exactly how to find sewer line! Your favorite watch is gone. Maybe your toddler’s truck disappears. Or a pair of sunglasses is missing. Oops. Every once in a while, something gets flushed that shouldn’t. Modern-day plumbing is the greatest convenience of our time, but not everything is sewer friendly. Sewage back-ups really stink. Literally. So when there’s a clog somewhere down the line, you need to fix it fast. You may need to locate your sewer line, but don’t know how. Well, here’s an easy-to-follow guide on exactly how to find it. Let’s begin with basics. All your inside drains tie into one central drain pipe. That pipe runs out of your house into either the municipal sewer system or your septic tank. To know where that main drain exits your house is a big help to find where your sewer line is placed. This may seem too easy, but just call the previous owners. Most longtime owners have had to learn where their sewer lines are located. If you don’t know the previous owners, that information can still be found on your deed and in municipal tax records. If you can’t reach the previous owners, ask a neighbor. It’s likely their home is plumbed like yours. Finding your sewer line could be as easy as calling your city government. It keeps maps that help residents find underground utilities like sewer lines. Many municipalities will give you this information over the phone. If they can’t, make a trip to the engineering department the building and safety division. All they should need is your address. They can access the map archives where they’ll have a sewer map of your neighborhood. If calling strangers or visiting city departments is too much hassle, just follow your pipes. Since all your drains lead to one central pipe, find a pipe you know is a drain, like a toilet or sink line. Follow the pipe until it ties into a larger pipe. Follow the larger pipe until it exits your basement or crawlspace. That drain pipe leads to your sewer line. 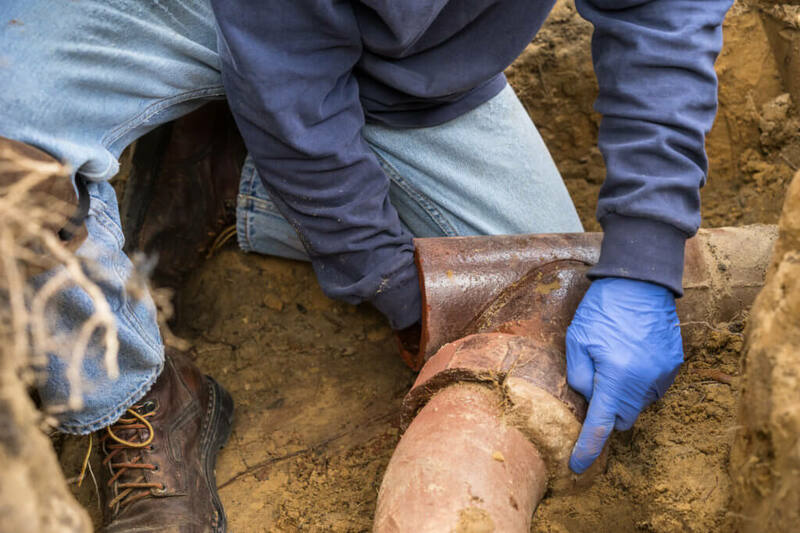 From there, you can carefully dig until you find the pipe and follow it through your property. Since sewer lines only go straight, it shouldn’t be too hard to follow. It can be intimidating to deal with clogged sewer lines. Often the job is simply too big. And we won’t even mention the “gag reflex” factor. So when all else fails or you’re in over your head, don’t hesitate to give us a call at (402) 731-2727. We’re here to take care of all your plumbing needs, even the really stinky ones.